Within Walking Distance To A Number Of Local Bars And Restaurants! 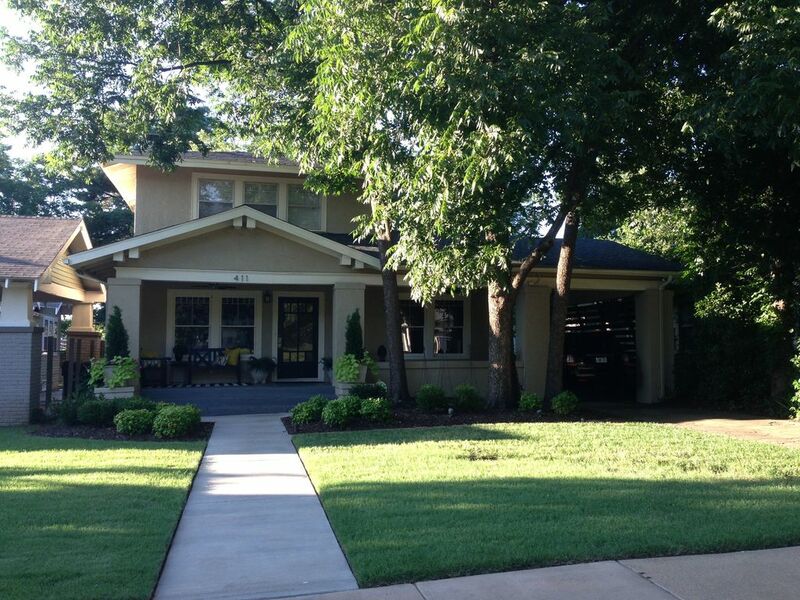 Beautiful house located in the heart of Mesta Park/Heritage Hills. The house is in great condition, hardwood floors throughout, updated appliances, fenced backyard great for entertaining, garage, basement, washer and dryer, and storm shelter. Great for business executives, residents or families. It is walking distance from some of the best restaurants, bars and shops OKC has to offer. It is conveniently located near St. Anthony's Hospital and a few minutes from downtown between the Uptown and Midtown Districts. Large home to call yours for a short period of time. The house is located in the heart of everything and walking distance to downtown. Fully stocked kitchen with pots, pans, cutlery, coffee maker and toaster. Great historical home in the heart of OKC! Great location near everything! Great restaurants are within walking distance! Very roomy home with comfy king bed in master upstairs! Home has potential to be a very nice rental, but was very disappointing. We have been using Home away for our vacation rentals and have been extremely pleased for many years, until this trip, in our eyes this home was very disappointing, and misrepresented. I will start with the security issues beginning with the back door, the strike plate on the jamb is installed backwards, which is causing the door to not close completely and only catching about an eighth inch of the backset, we secured door with a butter knife stuck in the jamb, upstairs bedroom window did not have any kind of lock and had a large gap between bottom of window and sill, filled gap with socks to keep anything from crawling inside. other issues included broken tub stopper, which meant we could not draw a bath for the small children, at thier ages they do not like showers, limited wash clothes, some of which looked like cleaning rags, purchased washclothes at local walmart along with a DVD player that was supposed to be included in rental, very limited cable package. This home also advertises gas grill, garage and storm shelter, there was no propane for grill, normally propane is full and when you leave you make sure propane is filled, garage was not accessible as is, end tables and such stored in garage if you moved some things you MAY Be able to get a mini Cooper inside, storm shelter was full of water. We traveled nearly 1100 miles and we were extremely disappointed. Also paid a cleaning fee, found multiple items under dresser in bedroom, Windows extremely dirty. Nicest part of home was kitchen. I picked this lovely home for my guests from out of town for a family gathering. They were wowed by it and absolutely loved everything about this home. After each long day of activities, we gathered in the evenings to visit around the island in the cozy kitchen. The home was such a welcoming and needed retreat. The neighborhood is beautiful, quiet and safe. The owners were very responsive. I have nothing but gratitude to have been able to use this wonderful home in time of need. This home is truly Exceptional. Thank you for the great stay! Perfect house and location.